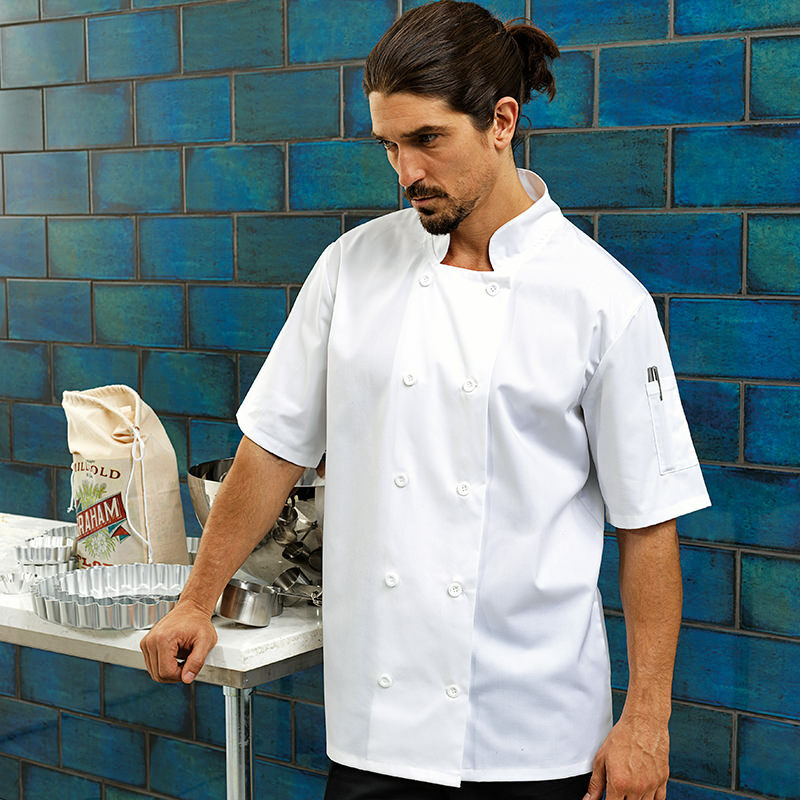 Sizes: XS 33" S 37" M 40" L 42" XL 46" 2XL 49" 3XL 51" 4XL 55"
A short sleeve chef's jacket with a ten hole button hole wrap over fastening. To withstand the demands of repeated washing, the buttons are long life resin buttons. The left sleeve features a useful pen pocket. 10 button hole wrapover fastening. High quality, long-life, resin buttons. Left sleeve pen pocket. Unisex sizing.